We’ve all been told that walking is a great form of exercise but a new study reveals just how beneficial walking can be to our health. The European Prospective Investigation into Cancer and Nutrition (EPIC) recently completed a lengthy 12 year study into the benefits of being active versus being completely inactive. 1/3 of a million people participated in the survey making this a very comprehensive and in depth study. It was discovered that not exercising caused twice as many deaths as obesity. That’s an amazing result and it means that overweight people that are active are less likely to die prematurely than inactive people that are not obese. The study not only took into account each person’s physical activity level but also their age, gender, body mass index (BMI) and whether they smoked or drank alcohol. In the end the conclusion was undeniable that people that worked a desk job and did no physical activity at home were at the highest risk of all. A simple 20 minute walk will only burn between 90 – 110 calories but will place you into what is known as the moderately inactive category instead of the inactive category and that will reduce your risk of dying early from between 16 -30%. 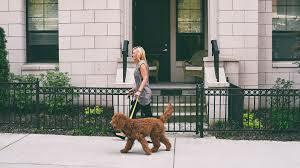 Obviously a more stringent exercise program will provide even better results for your health but isn’t it nice to know that simply walking the dog in the evening can add years to our life?